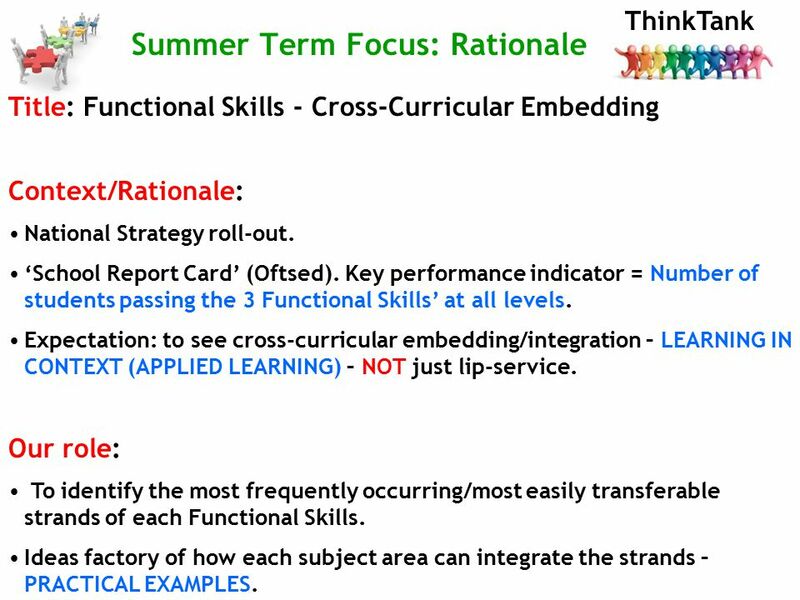 ThinkTank Summer Term Focus: Rationale Title: Functional Skills - Cross-Curricular Embedding Context/Rationale: National Strategy roll-out. ‘School Report. 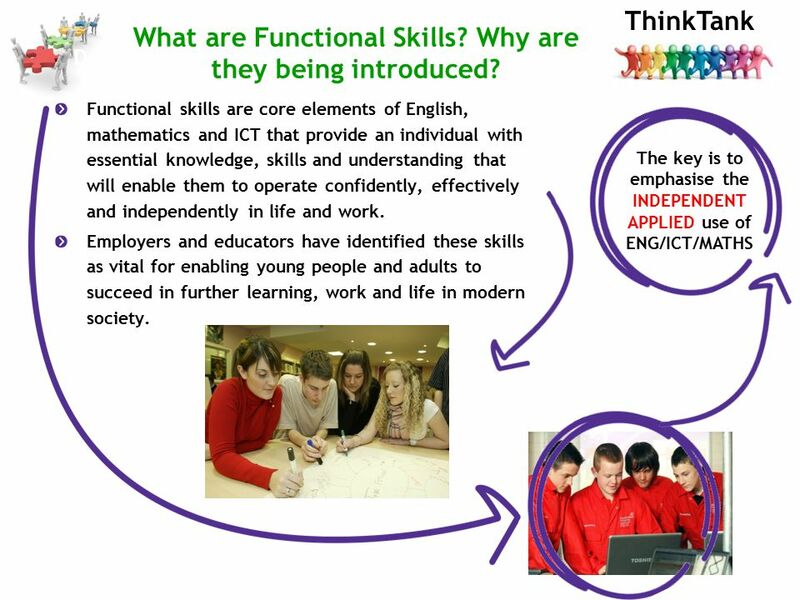 1 ThinkTank Summer Term Focus: Rationale Title: Functional Skills - Cross-Curricular Embedding Context/Rationale: National Strategy roll-out. ‘School Report Card’ (Oftsed). 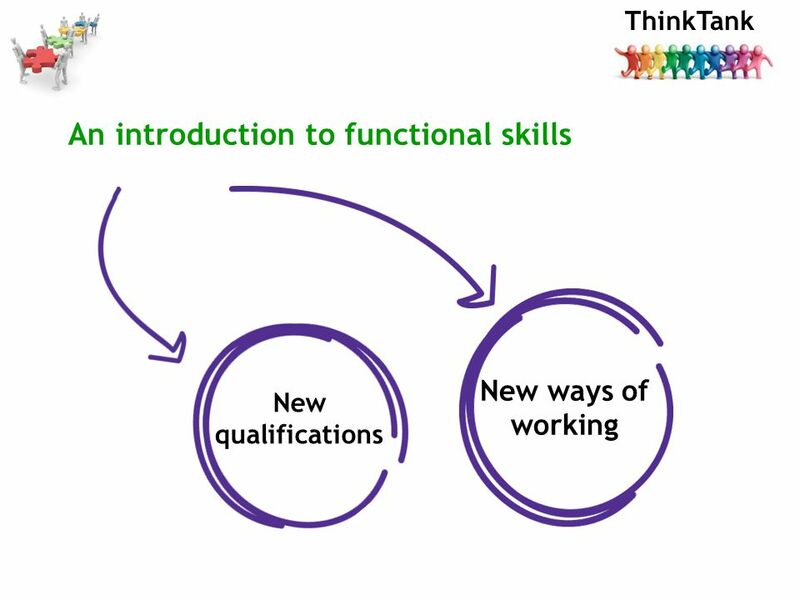 Key performance indicator = Number of students passing the 3 Functional Skills’ at all levels. Expectation: to see cross-curricular embedding/integration – LEARNING IN CONTEXT (APPLIED LEARNING) – NOT just lip-service. 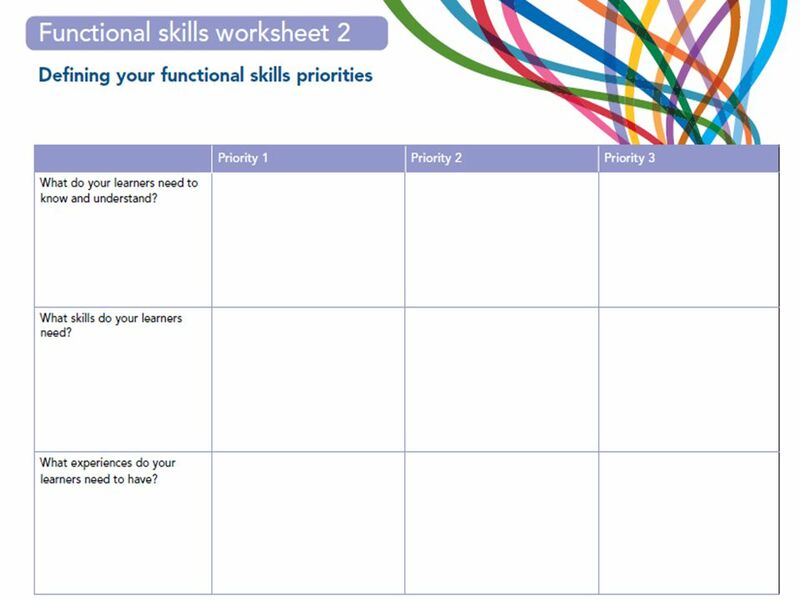 Our role: To identify the most frequently occurring/most easily transferable strands of each Functional Skills. Ideas factory of how each subject area can integrate the strands – PRACTICAL EXAMPLES. 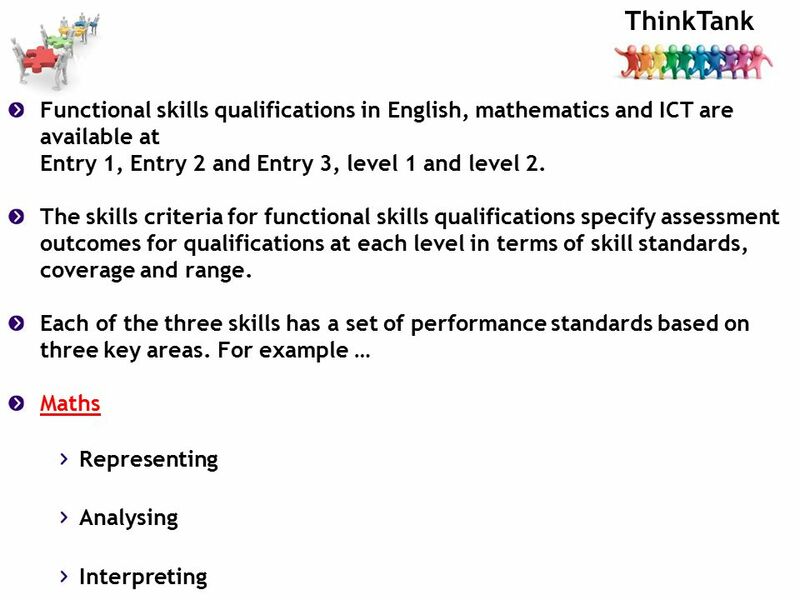 4 ThinkTank Functional skills qualifications in English, mathematics and ICT are available at Entry 1, Entry 2 and Entry 3, level 1 and level 2. 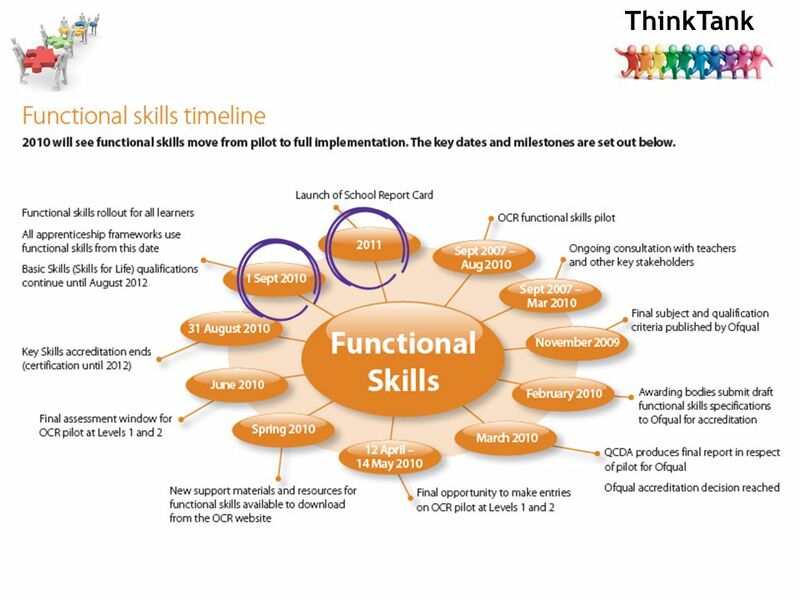 The skills criteria for functional skills qualifications specify assessment outcomes for qualifications at each level in terms of skill standards, coverage and range. 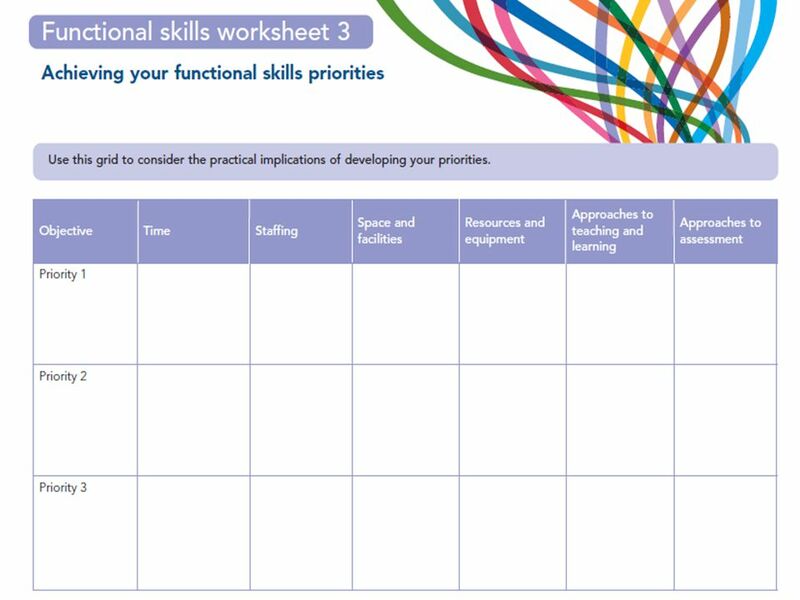 Each of the three skills has a set of performance standards based on three key areas. 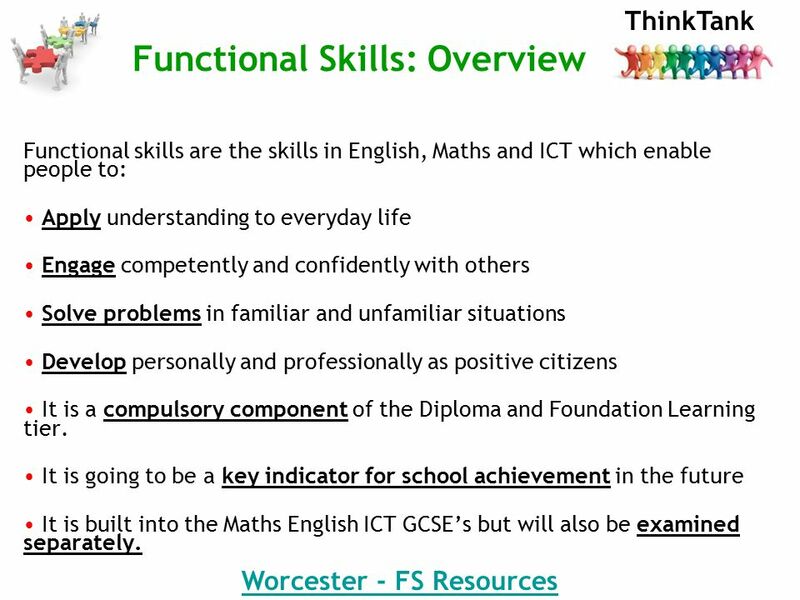 For example … Maths Representing Analysing Interpreting What are functional skills qualifications? 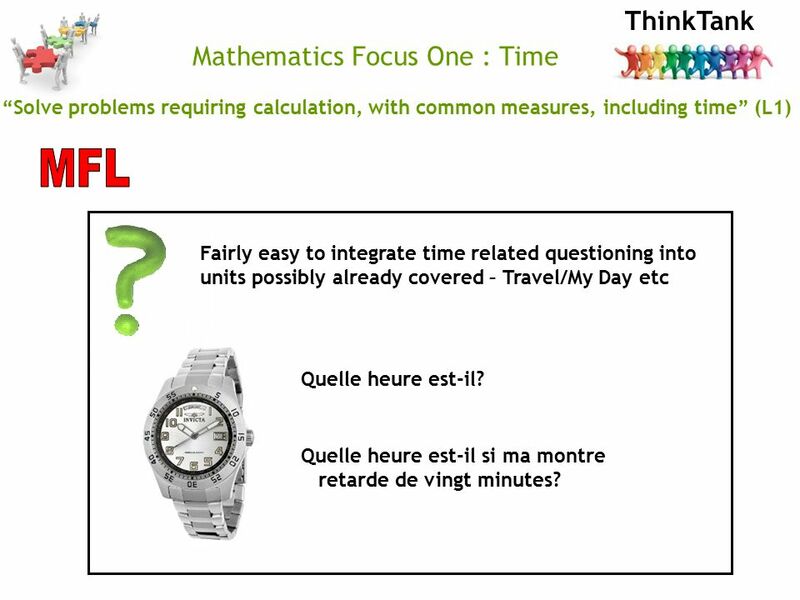 10 ThinkTank Mathematics Focus One : Time “Solve problems requiring calculation, with common measures, including time” (L1) Fairly easy to integrate time related questioning into units possibly already covered – Travel/My Day etc Quelle heure est-il? Quelle heure est-il si ma montre retarde de vingt minutes? 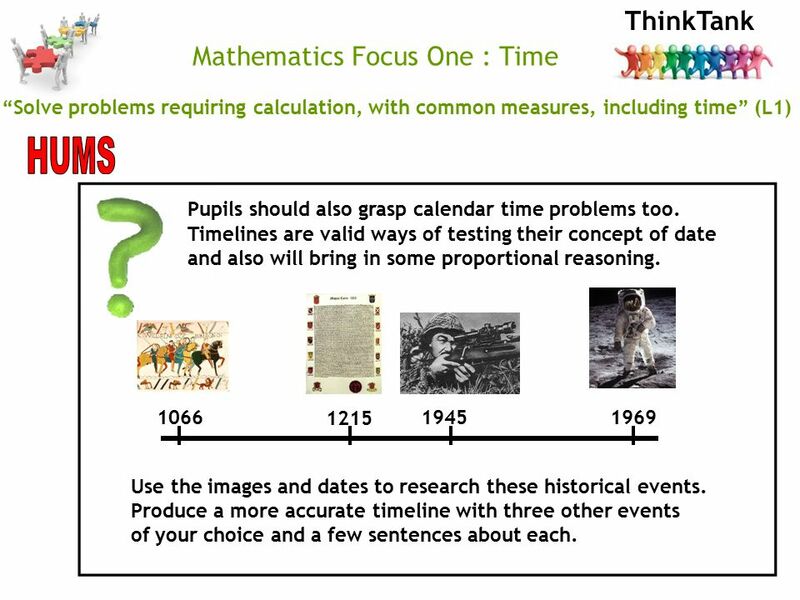 11 ThinkTank Mathematics Focus One : Time “Solve problems requiring calculation, with common measures, including time” (L1) Pupils should also grasp calendar time problems too. Timelines are valid ways of testing their concept of date and also will bring in some proportional reasoning. 1066 1215 19451969 Use the images and dates to research these historical events. Produce a more accurate timeline with three other events of your choice and a few sentences about each. 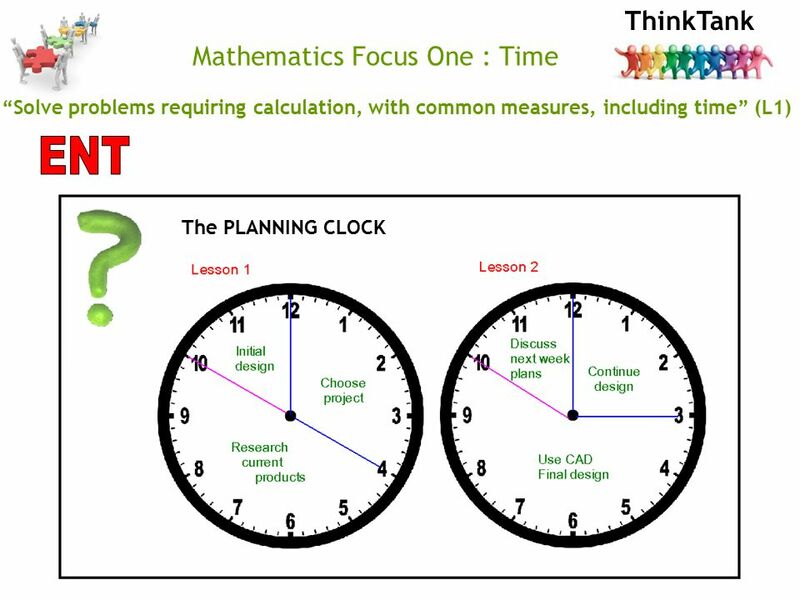 12 ThinkTank Mathematics Focus One : Time “Solve problems requiring calculation, with common measures, including time” (L1) Obviously lends itself to timings… Bleep testOver rates etc Over a series of weeks, run the 100m, but split level timing. Pupils analyse their performance over first 50m, second 50m etc. 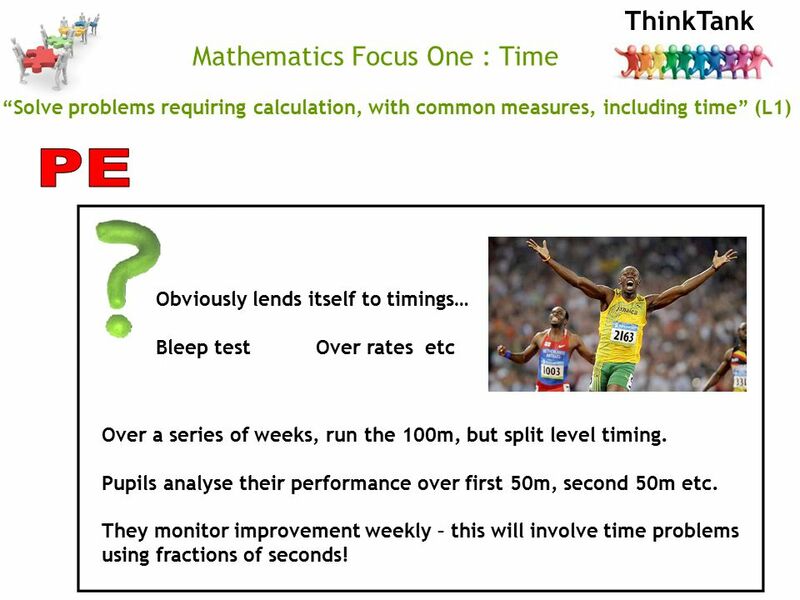 They monitor improvement weekly – this will involve time problems using fractions of seconds! 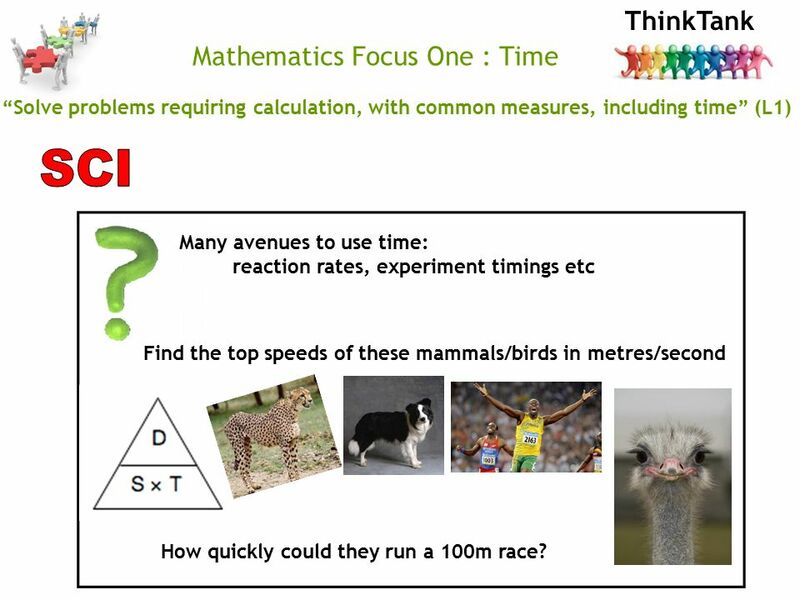 15 ThinkTank Mathematics Focus One : Time “Solve problems requiring calculation, with common measures, including time” (L1) Many avenues to use time: reaction rates, experiment timings etc Find the top speeds of these mammals/birds in metres/second How quickly could they run a 100m race? 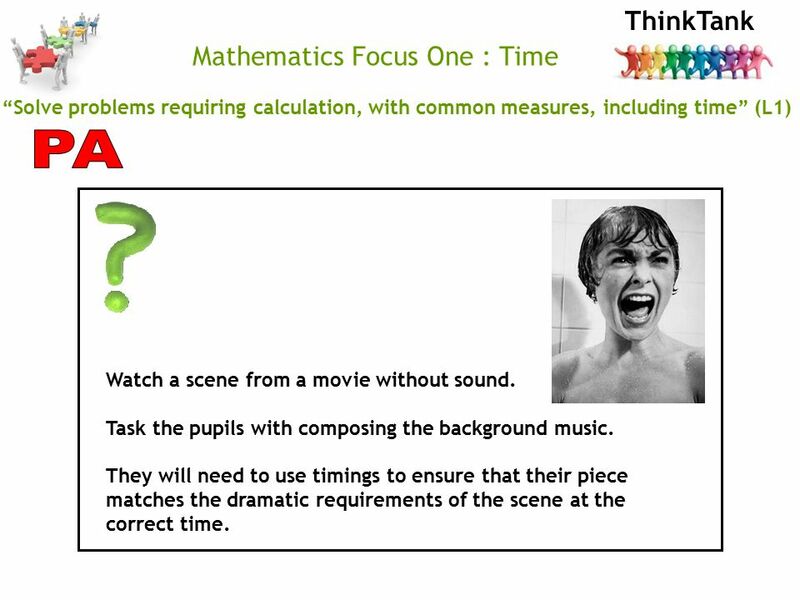 16 ThinkTank Mathematics Focus One : Time “Solve problems requiring calculation, with common measures, including time” (L1) Watch a scene from a movie without sound. Task the pupils with composing the background music. They will need to use timings to ensure that their piece matches the dramatic requirements of the scene at the correct time. 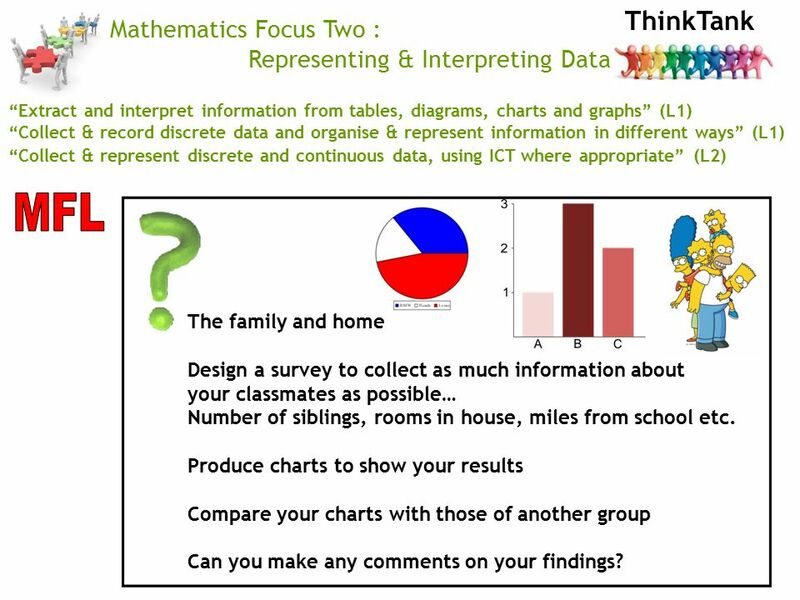 18 ThinkTank Mathematics Focus Two : Representing & Interpreting Data “Extract and interpret information from tables, diagrams, charts and graphs” (L1) “Collect & record discrete data and organise & represent information in different ways” (L1) “Collect & represent discrete and continuous data, using ICT where appropriate” (L2) The family and home Design a survey to collect as much information about your classmates as possible… Number of siblings, rooms in house, miles from school etc. Produce charts to show your results Compare your charts with those of another group Can you make any comments on your findings? 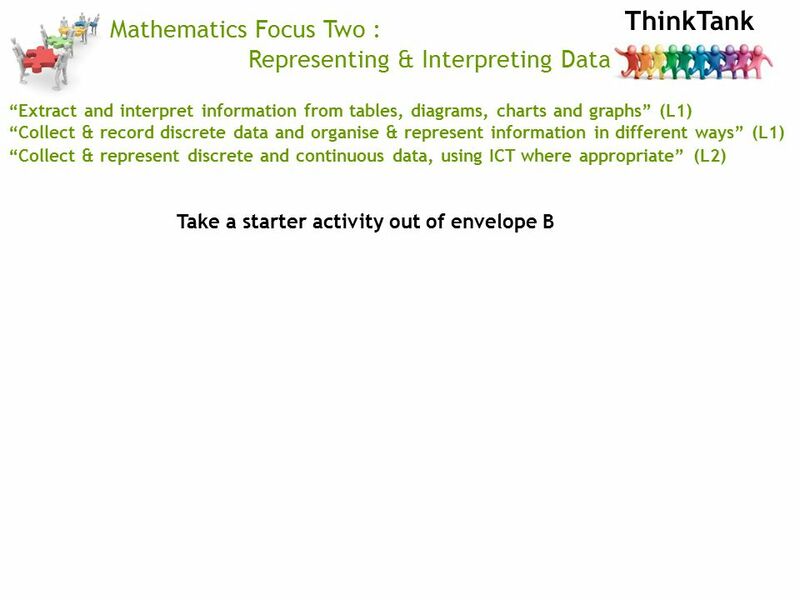 19 ThinkTank Mathematics Focus Two : Representing & Interpreting Data “Extract and interpret information from tables, diagrams, charts and graphs” (L1) “Collect & record discrete data and organise & represent information in different ways” (L1) “Collect & represent discrete and continuous data, using ICT where appropriate” (L2) Many sources of data to use: Climate graphs, tourist information, wealth/death rates. 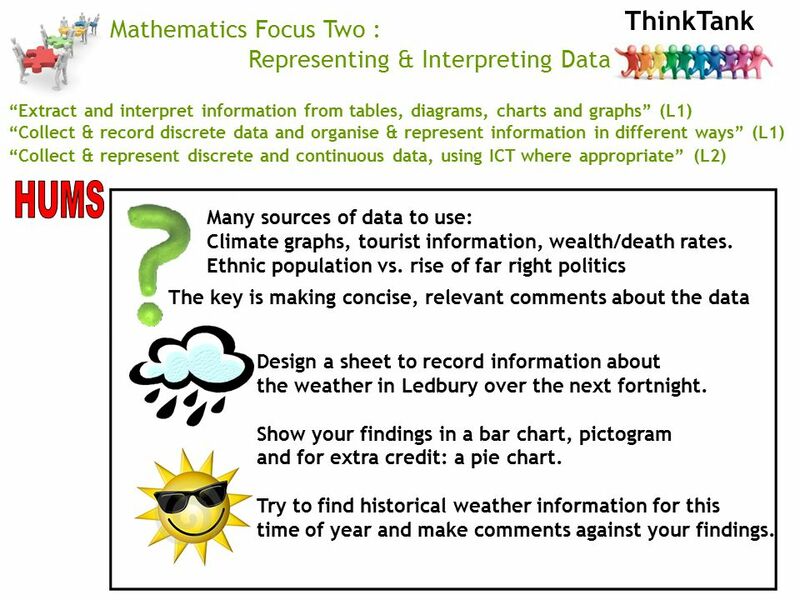 Ethnic population vs. rise of far right politics The key is making concise, relevant comments about the data Design a sheet to record information about the weather in Ledbury over the next fortnight. Show your findings in a bar chart, pictogram and for extra credit: a pie chart. Try to find historical weather information for this time of year and make comments against your findings. 20 ThinkTank Mathematics Focus Two : Representing & Interpreting Data “Extract and interpret information from tables, diagrams, charts and graphs” (L1) “Collect & record discrete data and organise & represent information in different ways” (L1) “Collect & represent discrete and continuous data, using ICT where appropriate” (L2) Using the data gathered from your 100m trials, produce a scattergraph to enable you to comment on whether improvements have been made. Can you use your graph to estimate your likely time if you continued for another 6 weeks? Find out what nutritional requirements an olympic sprinter needs per day. 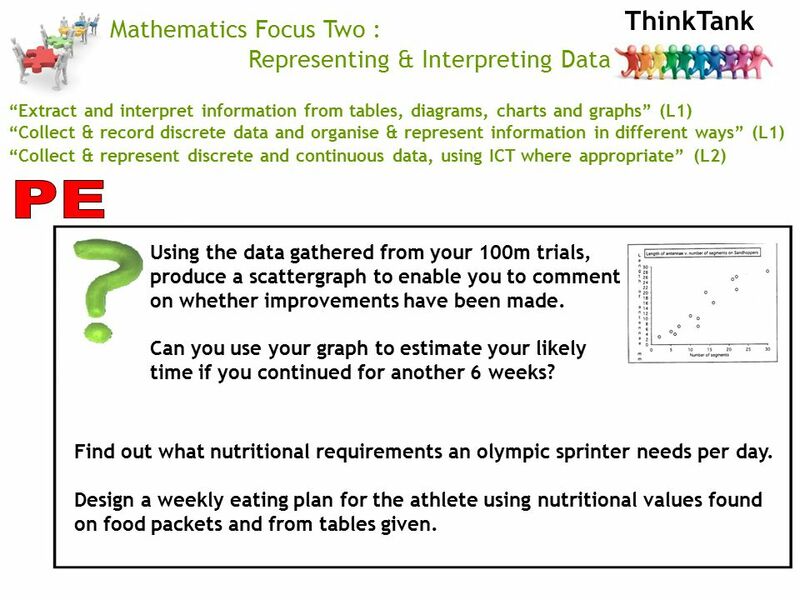 Design a weekly eating plan for the athlete using nutritional values found on food packets and from tables given. 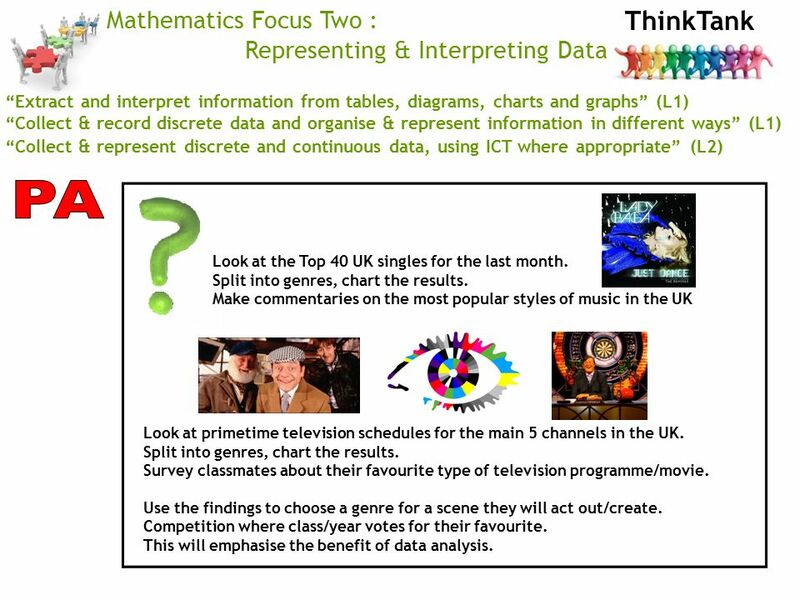 21 ThinkTank Mathematics Focus Two : Representing & Interpreting Data “Extract and interpret information from tables, diagrams, charts and graphs” (L1) “Collect & record discrete data and organise & represent information in different ways” (L1) “Collect & represent discrete and continuous data, using ICT where appropriate” (L2) Use data to write a newspaper report based around something topical: climate change/the election. “Coldest Spring in UK history!” Investigate this statement and write a newspaper article summarising your findings. Ensure you include graphs and make comments on trends you have noticed. Should we be worried in the future? 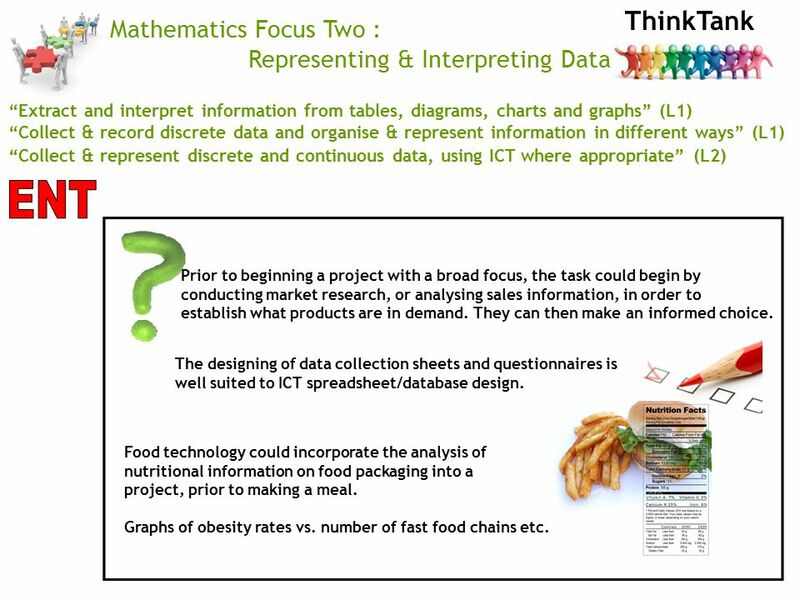 22 ThinkTank Mathematics Focus Two : Representing & Interpreting Data “Extract and interpret information from tables, diagrams, charts and graphs” (L1) “Collect & record discrete data and organise & represent information in different ways” (L1) “Collect & represent discrete and continuous data, using ICT where appropriate” (L2) Prior to beginning a project with a broad focus, the task could begin by conducting market research, or analysing sales information, in order to establish what products are in demand. They can then make an informed choice. The designing of data collection sheets and questionnaires is well suited to ICT spreadsheet/database design. Food technology could incorporate the analysis of nutritional information on food packaging into a project, prior to making a meal. Graphs of obesity rates vs. number of fast food chains etc. 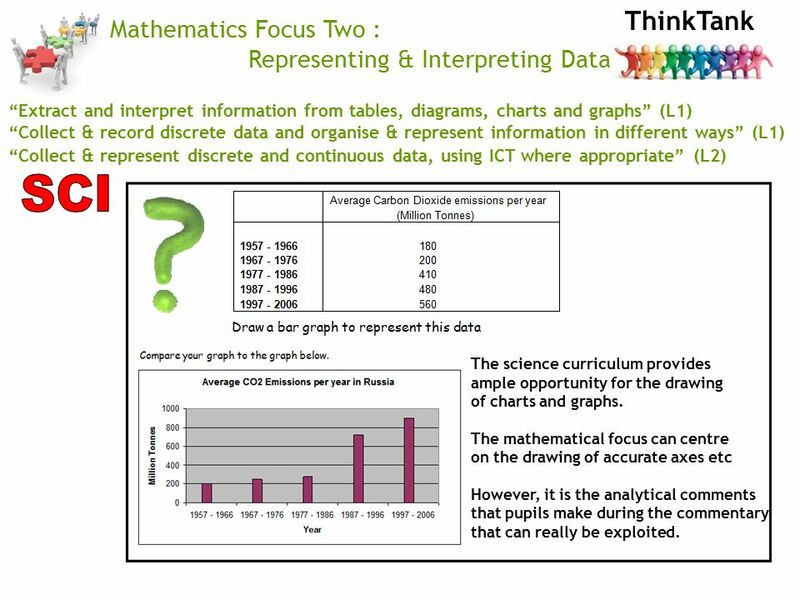 23 ThinkTank Mathematics Focus Two : Representing & Interpreting Data “Extract and interpret information from tables, diagrams, charts and graphs” (L1) “Collect & record discrete data and organise & represent information in different ways” (L1) “Collect & represent discrete and continuous data, using ICT where appropriate” (L2) The science curriculum provides ample opportunity for the drawing of charts and graphs. 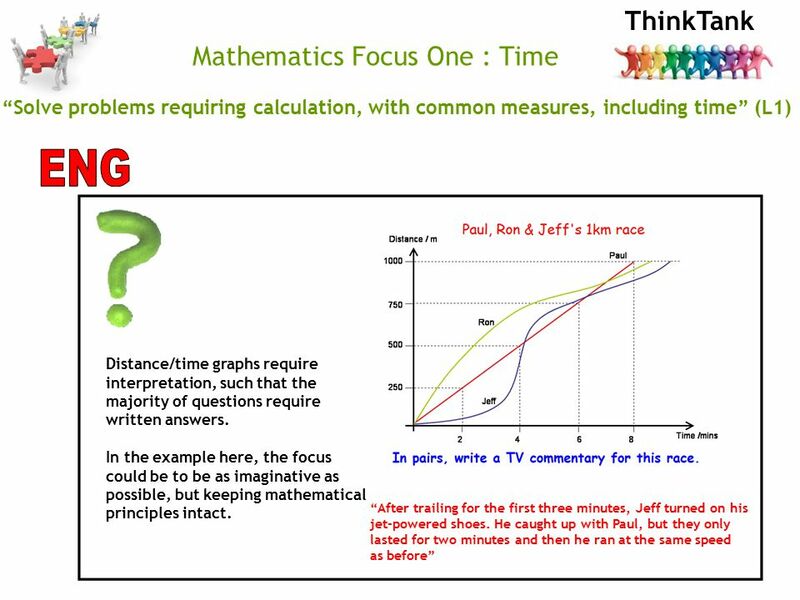 The mathematical focus can centre on the drawing of accurate axes etc However, it is the analytical comments that pupils make during the commentary that can really be exploited. 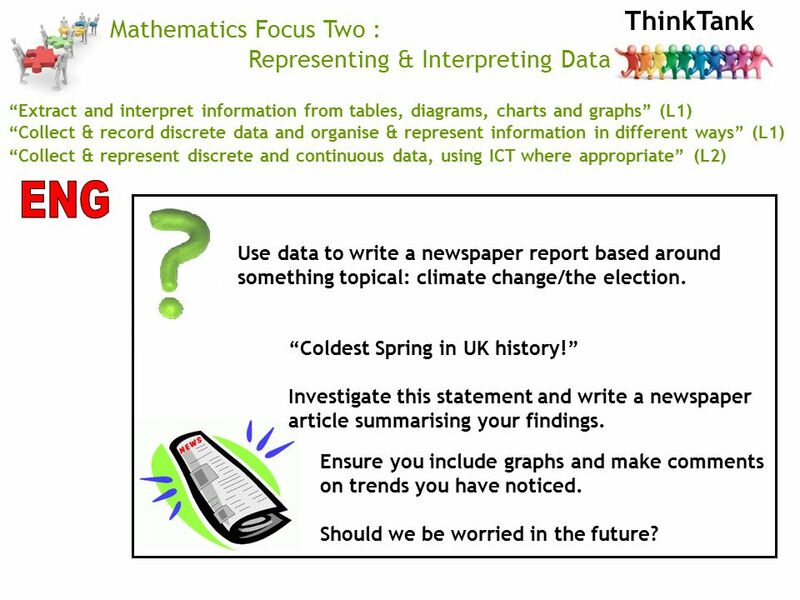 24 ThinkTank Mathematics Focus Two : Representing & Interpreting Data “Extract and interpret information from tables, diagrams, charts and graphs” (L1) “Collect & record discrete data and organise & represent information in different ways” (L1) “Collect & represent discrete and continuous data, using ICT where appropriate” (L2) Look at the Top 40 UK singles for the last month. Split into genres, chart the results. Make commentaries on the most popular styles of music in the UK Look at primetime television schedules for the main 5 channels in the UK. Split into genres, chart the results. Survey classmates about their favourite type of television programme/movie. Use the findings to choose a genre for a scene they will act out/create. Competition where class/year votes for their favourite. This will emphasise the benefit of data analysis. 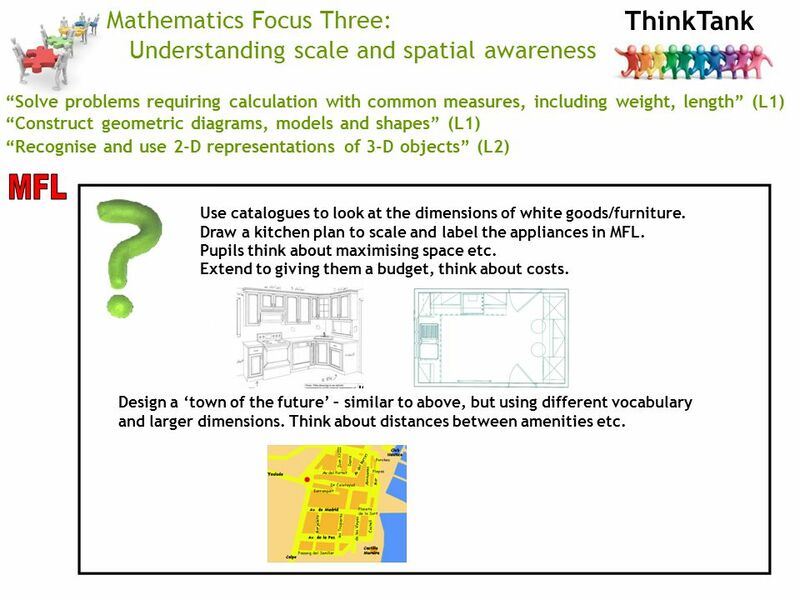 26 ThinkTank Mathematics Focus Three: Understanding scale and spatial awareness “Solve problems requiring calculation with common measures, including weight, length” (L1) “Construct geometric diagrams, models and shapes” (L1) “Recognise and use 2-D representations of 3-D objects” (L2) Use catalogues to look at the dimensions of white goods/furniture. Draw a kitchen plan to scale and label the appliances in MFL. Pupils think about maximising space etc. Extend to giving them a budget, think about costs. Design a ‘town of the future’ – similar to above, but using different vocabulary and larger dimensions. Think about distances between amenities etc. 27 ThinkTank Mathematics Focus Three: Understanding scale and spatial awareness “Solve problems requiring calculation with common measures, including weight, length” (L1) “Construct geometric diagrams, models and shapes” (L1) “Recognise and use 2-D representations of 3-D objects” (L2) Projects on town planning, photographic imaging, contours. Explores plan and elevation. Map work, use scale in a variety of contexts. 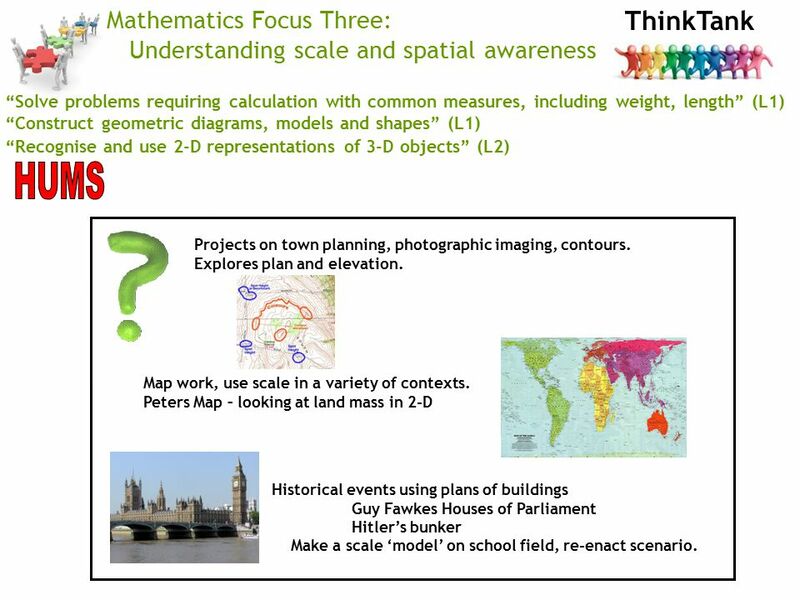 Peters Map – looking at land mass in 2-D Historical events using plans of buildings Guy Fawkes Houses of Parliament Hitler’s bunker Make a scale ‘model’ on school field, re-enact scenario. 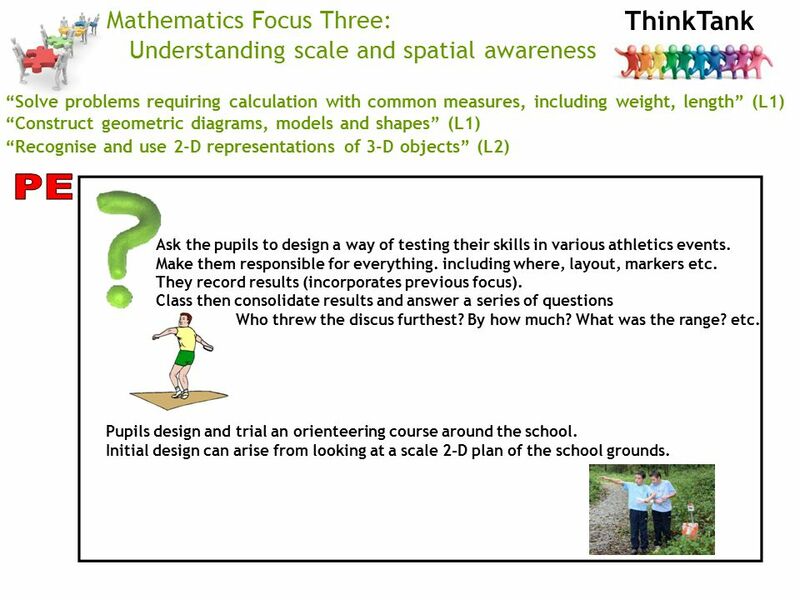 28 ThinkTank Mathematics Focus Three: Understanding scale and spatial awareness “Solve problems requiring calculation with common measures, including weight, length” (L1) “Construct geometric diagrams, models and shapes” (L1) “Recognise and use 2-D representations of 3-D objects” (L2) Ask the pupils to design a way of testing their skills in various athletics events. Make them responsible for everything. including where, layout, markers etc. They record results (incorporates previous focus). Class then consolidate results and answer a series of questions Who threw the discus furthest? By how much? What was the range? etc. Pupils design and trial an orienteering course around the school. Initial design can arise from looking at a scale 2-D plan of the school grounds. 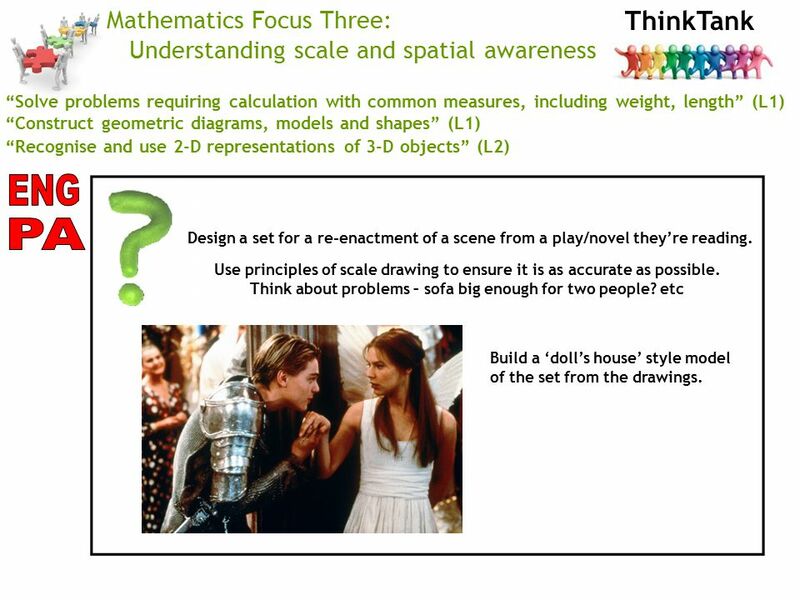 29 ThinkTank Mathematics Focus Three: Understanding scale and spatial awareness “Solve problems requiring calculation with common measures, including weight, length” (L1) “Construct geometric diagrams, models and shapes” (L1) “Recognise and use 2-D representations of 3-D objects” (L2) Design a set for a re-enactment of a scene from a play/novel they’re reading. Use principles of scale drawing to ensure it is as accurate as possible. Think about problems – sofa big enough for two people? etc Build a ‘doll’s house’ style model of the set from the drawings. 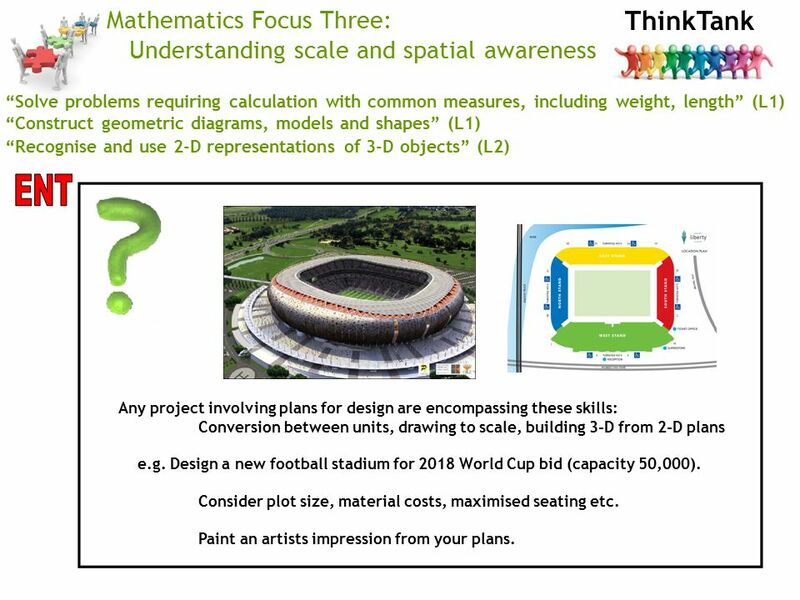 30 ThinkTank Mathematics Focus Three: Understanding scale and spatial awareness “Solve problems requiring calculation with common measures, including weight, length” (L1) “Construct geometric diagrams, models and shapes” (L1) “Recognise and use 2-D representations of 3-D objects” (L2) Any project involving plans for design are encompassing these skills: Conversion between units, drawing to scale, building 3-D from 2-D plans e.g. Design a new football stadium for 2018 World Cup bid (capacity 50,000). Consider plot size, material costs, maximised seating etc. Paint an artists impression from your plans. 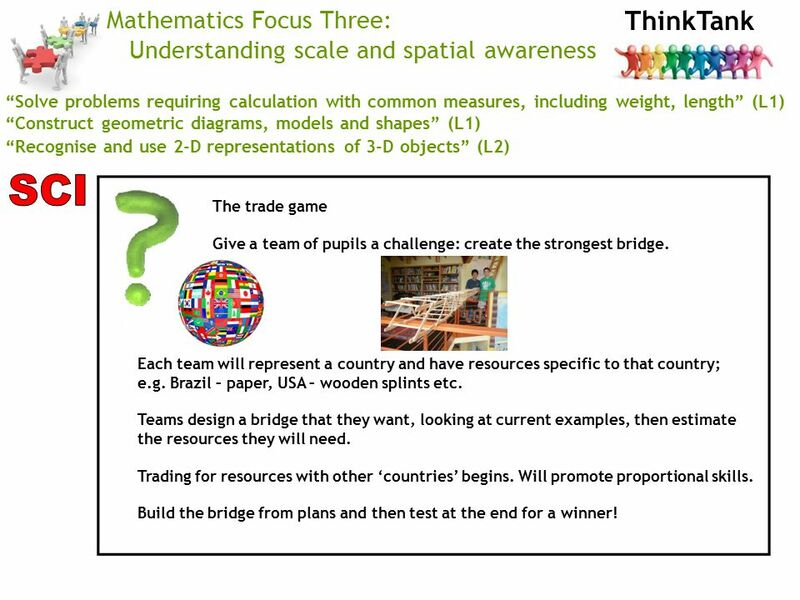 31 ThinkTank Mathematics Focus Three: Understanding scale and spatial awareness “Solve problems requiring calculation with common measures, including weight, length” (L1) “Construct geometric diagrams, models and shapes” (L1) “Recognise and use 2-D representations of 3-D objects” (L2) The trade game Give a team of pupils a challenge: create the strongest bridge. Each team will represent a country and have resources specific to that country; e.g. Brazil – paper, USA – wooden splints etc. Teams design a bridge that they want, looking at current examples, then estimate the resources they will need. Trading for resources with other ‘countries’ begins. Will promote proportional skills. Build the bridge from plans and then test at the end for a winner! 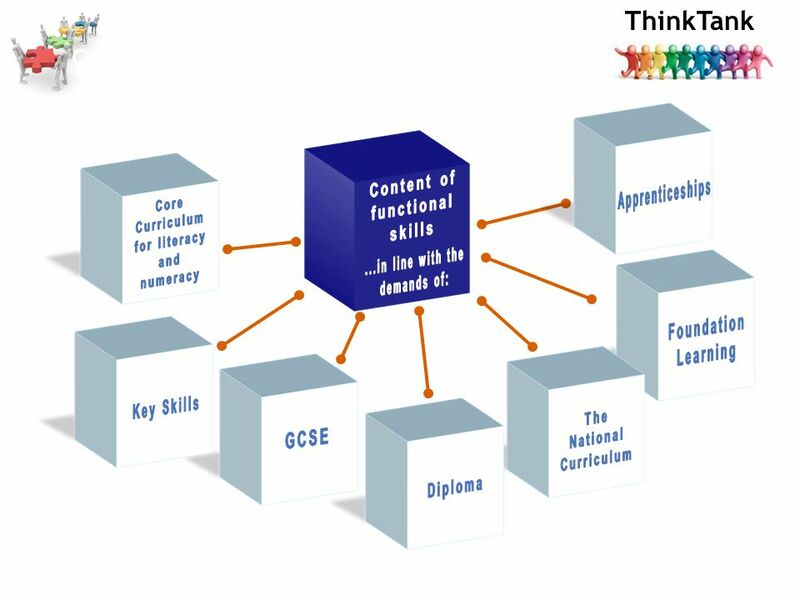 Download ppt "ThinkTank Summer Term Focus: Rationale Title: Functional Skills - Cross-Curricular Embedding Context/Rationale: National Strategy roll-out. ‘School Report." Qualifications Update: Sciences Qualifications Update: Sciences. Developing Science Skills. 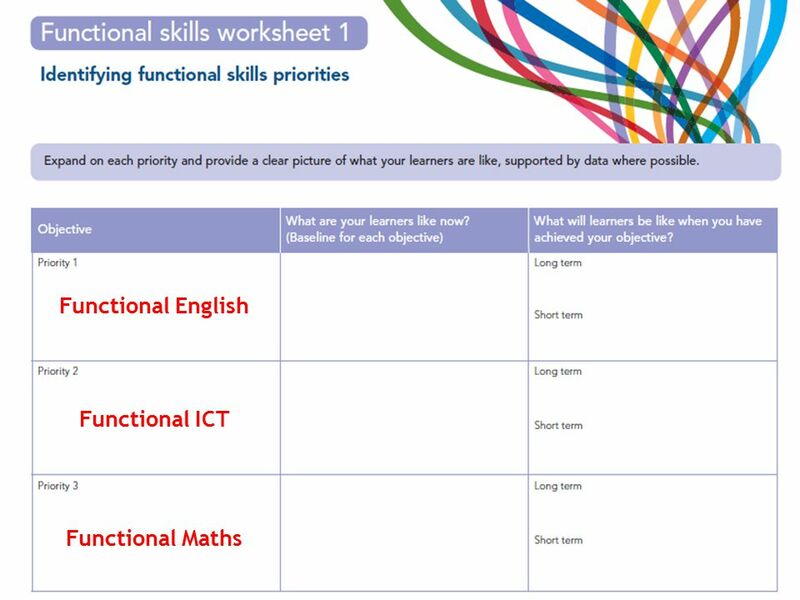 Preparing for Tasks Level DLevel ELevel F individually or in small groups will identify two or three questions to investigate. Year 11 Mathematics What type of Maths courses are there in year 11? ► ATAR Courses: Examinable courses, which may be used towards a university. Wf Statistical Coursework There are more vowels used in a page written out in French rather than English. Girls are better at maths than boys. Transforming lives through learning Assessing Progress and Achievement Professional Learning Resource Scottish Learning Festival September 2014. The beginning of this year was disrupted by snow and cold weather. Schools were closed, people were advised not to travel and baboons were fed hot potatoes! The New Curriculum for Mathematics. Knowing, learning, understanding are not linear... A field of knowledge, such as mathematics, is a territory, and. 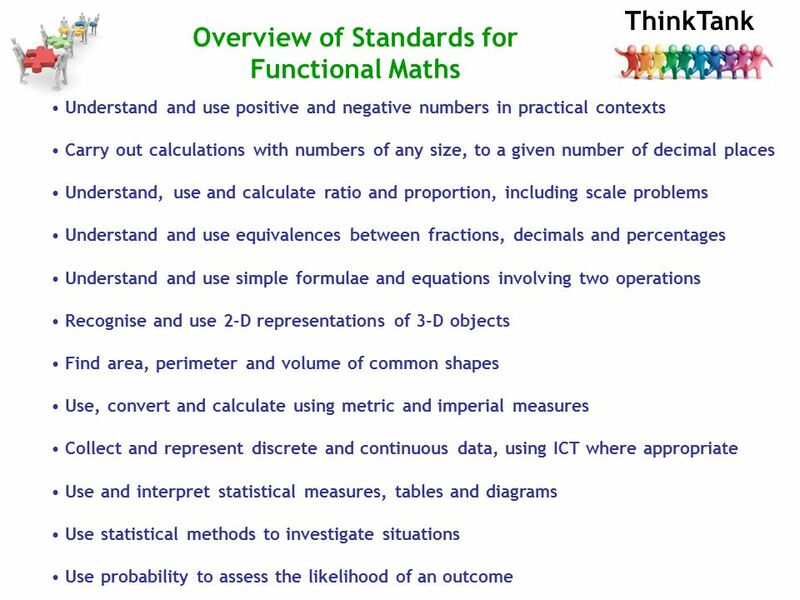 Life Without Levels – Applying Revised Blooms Taxonomy to Assess a Mastery Approach Within Maths Brook Field Primary School Mr D Clarke Miss R Taylor.